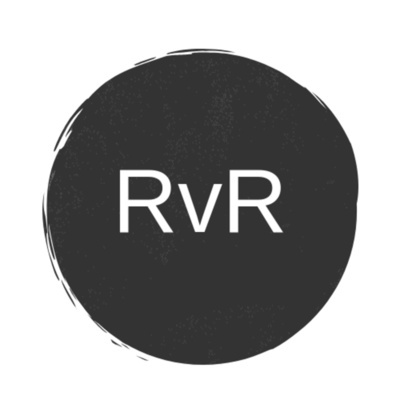 River Valley Roundtable provides monthly lunch-hour learning opportunities. Experienced business professionals share the successful principles and processes that have helped them advance in their personal and business endeavors. John McFarland is the former CEO of a Fortune 500 company and current board member of Weldon, Williams, and Lick. He credits his ongoing record of success to the people around him and the leadership principles he practices. In this episode John shares his rules for highly effective leadership. - How effective leaders define reality for their team. - Why effective leaders create simple goals and repeat them often. - How effective leaders create value systems based on honesty, integrity, and fairness. - How effective leaders don’t let ego get in the way – theirs or someone else’s. - Why they are realistic, optimistic, honest, and always faithful to the team. - Why they don’t blame others for their failures and always credit the team for their success. - How they effectively criticize a team member. - Why effective leaders understand life is more than reaching goals – It is about reaching potential. And many more valuable pieces of wisdom. McFarland began his career with Baldor part time while in his first year of college at Westark College (now the University of Arkansas Fort Smith) in 1970. During his nearly 42-year career at Baldor, he held a number of positions in marketing, sales, and administration including Vice President of International Sales, Executive Vice President of Sales and Marketing, and finally President, CEO, and Chairman of the Board of Directors. Over this period, sales increased from $21 million in 1970 to $2.1 billion in 2011. The company was profitable in every year. Baldor Electric Company was a publicly-traded company (BEZ) from 1976 until being acquired by ABB Ltd of Zurich, Switzerland in 2011. During its time as a public company, the value of its stock grew at a compounded annual rate of approximately 19%. McFarland led the integration effort for Baldor until retirement. During McFarland’s career the company made approximately 15 acquisitions. McFarland negotiated and led the integration on 5 of these including Reliance Electric Company, an acquisition that more than doubled the company’s sales, profits, employees, and number of facilities. Coach Jones knows how to win. He has developed processes for success and will show you how to implement them into your business. - How to define a plan and a purpose in your business The necessity of processes - Preparation and building the foundation of victory - The importance of attention to detail and fine tuning successful operations Among active football coaches in the state of Arkansas, Coach Rick Jones has the second-highest record of victories. Coach Jones is an 18-time coach of the year who has led his teams to 15 victories in 23 state championships. Over his 40-year career, he has inspired and instructed young athletes in high schools and universities in Arkansas, Oklahoma, and Missouri. Coach Jones’ overall coaching record is an impressive 295-72. An alumnus and former football player of Harding University, Coach Jones received his Masters in Education in 1977 and currently coaches Greenwood High School football. His 14-year record at Greenwood is 163-24, including 7 State Championships.